What does a thorough winterization process entail? When should I begin the winterization process? 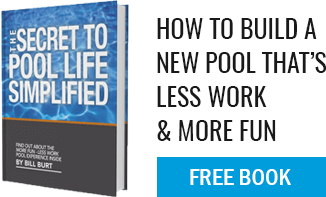 A lot of pool owners do not do much with their pools during the cooler months of the year. At most, they might buy a cover for it and think they have done enough to protect their investment. Unfortunately this is not enough and it will show as the years go on. The purpose of winterizing a pool is to protect it and it’s equipment and components from damage due to freezing water, and to keep it as clean as possible for opening day the next summer. When water freezes, it expands and can wreak havoc on plumbing, fixtures, detailed tile work, and pool equipment that are all costly and often time consuming to repair or replace. First, check your pool chemistry to make sure it is balanced. Having the correct balance of chemicals in your pool before you cover it up and shut it down for the fall and winter will safeguard the surface from potential staining that can occur because of adverse reactions to water quality. Next, backwash and clean out your filter very well remembering to blow out all of your lines with a shop-vac before plugging. Disconnect your filter and pump and make sure there is no water left sitting in them that can freeze and cause unwanted damage. Lower the water level to below the mouth of your skimmer, especially if your pool has expensive tile work at the top edge. Doing so will protect it against staining and potential cracking as water freezes and will also keep water out of the skimmer, which can potentially cause damage. Choose a cover for your pool that fits your needs and safety concerns. If you have pets or small children, some soft covers can be considered a hazard. Drain and clean all other equipment like automatic cleaner pumps and cleaners, heaters, and chemical feeders to prevent damage. Store larger equipment indoors if possible and put all smaller components and plugs in the strainer basket until summer time. Don’t forget to remove the pressure gauge and bring it inside as well as it can collect water and become broken. This is obviously a highly subjective question but consider a few factors when deciding like how fast and how cold does it get in your area, do you plan on doing any entertaining outdoors during the fall, or whether or not are there a lot of trees that overhang directly above your pool. If oncoming cold temperatures are a concern for you, then there is no time like today to shut down your pool for the winter. There is no reason to risk seeing that first surprise freeze before you have had a chance to get started. If you do entertain guests outdoors even into the cooler months of the year, consider keeping the pool open a little longer. There is nothing like a nice warm fire glittering next to a crisp clear pool while enjoying drinks or a meal outside with friends. If you have a lot of trees that lose their leaves above or around your pool, perhaps consider winterizing before the fall sets in to avoid having to clean before you close up for the winter. Leaves left in your pool once it has been closed and covered can alter your pool chemistry throughout the winter in ways that you might not welcome or expect.